We at Richmond Dental Clinic fully believe that dental health is a key component of overall health and by treating your dental diseases; we are partners along with your many health care professionals in supporting your overall well-being. We firmly believe that preventative care is a key component of obtaining and maintaining good dental health. With gum disease being one of the most major causes of tooth loss in adults, early detection and treatment of gum related issues would greatly improve the state of your overall health and help to obtain and maintain a beautiful and healthy smile. Our dental hygiene team is focused on providing excellent preventative care through custom tailored treatment plans that meet your personal healthcare needs. We believe that every person is an individual and our patients deserve the best oral health treatment based solely on their unique situation. 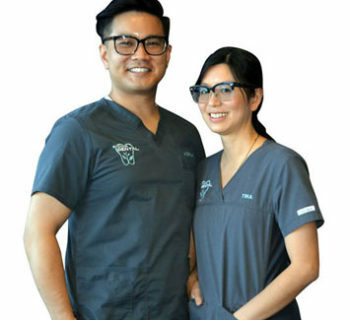 Our Dental Hygienists are Adrian and Tina.